Dealing with picky eaters is a constant struggle. Arguments, crying, and wasted food seem like a daily occurrence and are strain on everyone involved, especially the picky eater. But according to EAF (Emotionally Aware Feeding), it doesn't have to be this way forever. EAF starts with the reasons why a child might be a pick eater, which is perfectly normal, and then addresses those reasons from a safe, non-combative, psychological perspective. The focus of EAF? Stop pressuring your picky eater to try different foods (which is far different than the "No Thank You Bite" which we talked about in this blog post). 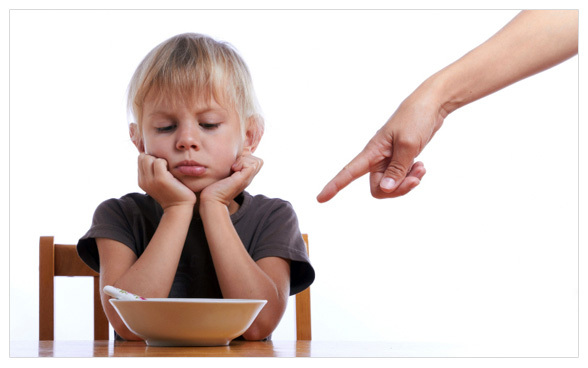 By separating the emotion of this 'power struggle' over food, the picky eater can learn to simply eat what's around them instead of acting out to gain attention or other psychological needs. Instead of only serving the food that the picky eater likes or the food that you want them to like, serve a variety of options that they might try. Put everything in front of her and let her make the decision to try new foods. Cormack notes on here website: "EAF involves focusing on the social side of eating. It is not about the short-term objective of getting your child to eat as much nutritious food as possible. Instead, the goal is to make mealtimes relaxed and enjoyable whilst helping your child develop a positive relationship with food in the long-term." Learn more about EAF at ea-feeding.com or by reading Cormack's book War and Peas.